Click here to check out our current specials on houseboat trips. Hurry! Many of these special rates and promotions won't last long. We offer a wide variety of houseboats. Click here to explore our houseboats to find the perfect houseboat for you and your family. 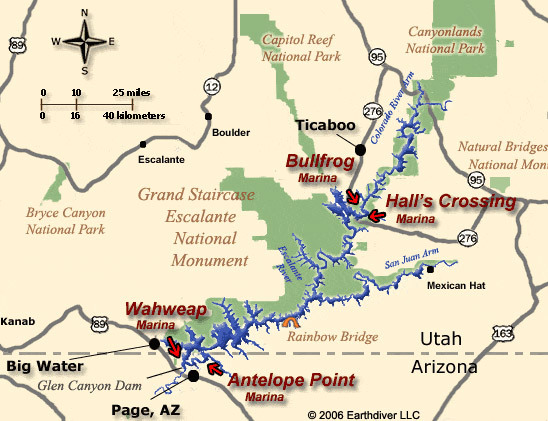 Explore scenic coves and canyons with a power boat or personal watercraft. Click to see options. 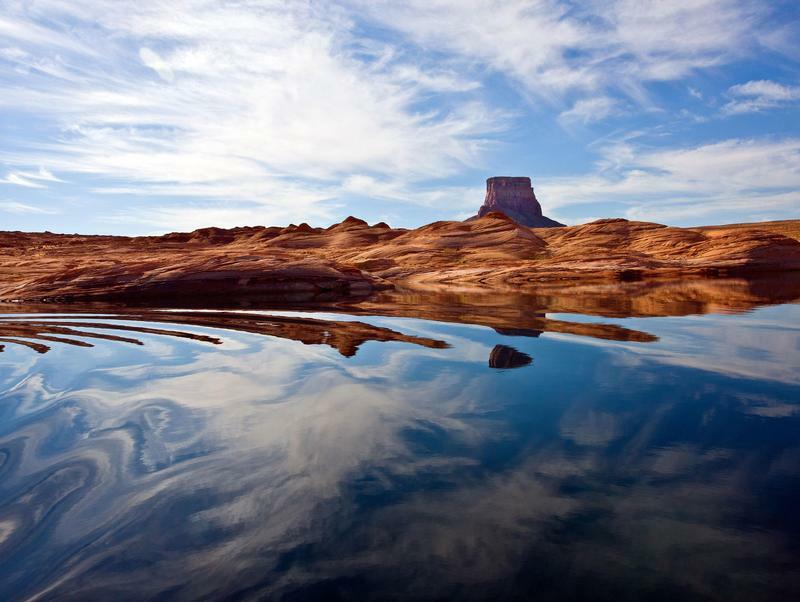 Lake Powell offers excellent opportunities for houseboat vacations, fishing, and in summer when water temperatures climb to a comfortable 70-80 degrees, swimming and water skiing. Lake Powell has a myriad of side canyons that narrow to just a boat width as they twist away from the main channel and make for fascinating exploration. Many visitors are content to just cruise its waters by houseboat and spend nights on its beaches under the stars. 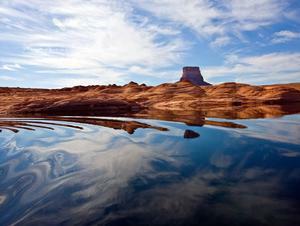 Hiking from the lake into the very rugged environs of Glen Canyon Recreation Area is an option for the adventurous. The lake covers a large area in south central Utah. Its 1,960 miles of shoreline (more than the United States' entire west coast) stretch 180 miles northeast from the Utah/Arizona border. Three highways provide access at four different points. At each access point is a marina. 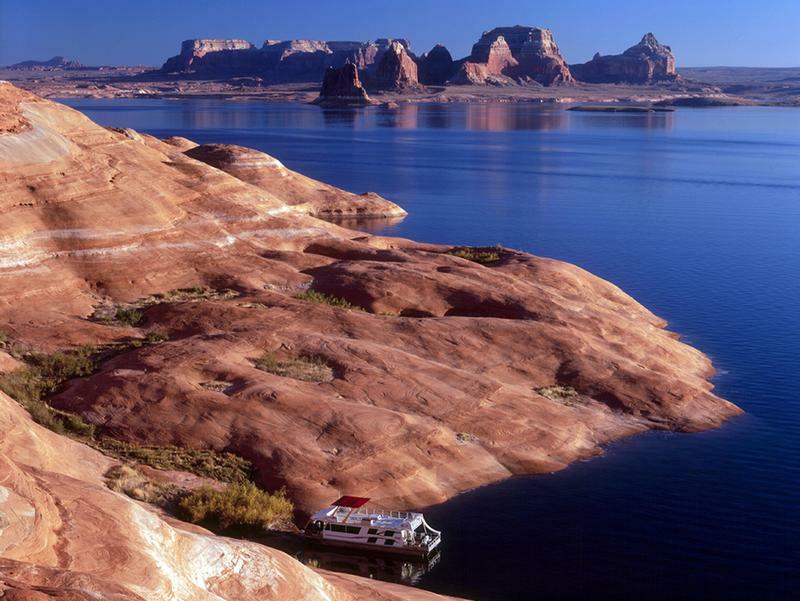 Thank you for visiting http://www.lake-powell-houseboat-rentals.com/About-Lake-Powell! Be sure and revisit lake-powell-houseboat-rentals.com frequently for content updates and more.